The annual Tokyo Game Show (TGS) opens on Thursday September 20th, at its usual venue of Makuhari Messe in Chiba prefecture. The first two days are Business Days, with the Public Days being on the weekend: Saturday 22nd and Sunday 23rd. Entry to the show is 1,000 yen if bought prior, or 1,200 yen if bought on the day. Entry is from 10 am, although there is a note on the official site that there is a possibility that doors may open earlier at 9:30 am "depending on the situation". 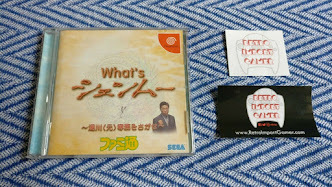 SEGA will of course be present, and what's more will be promoting Shenmue! Here is an overview of what they have in store. Shenmue I & II will get a slot all to itself on the SEGA stage on the morning of Saturday 22nd, from 11 am to 11:30 am JST. 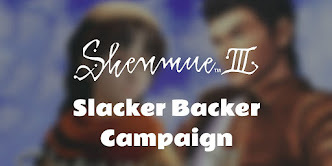 It will take the form of a panel discussion comprising various members of the industry who hold Shenmue in high regard. ...and last but not least, Masaya Matsukaze, the Japanese voice of Ryo Hazuki, will also be present as a special guest! Unfortunately filming is not allowed at the session. 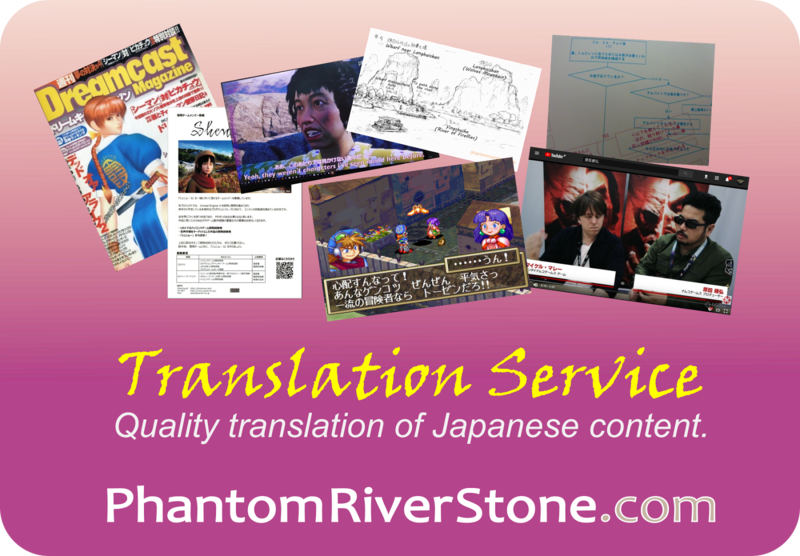 However it will be live-streamed on YouTube and various other platforms. SEGA's page with the live-stream links is HERE. Most Shenmue fans will be aware of the Shenmue "Sacred Spot" Guide Map produced by Yokosuka City in conjunction with SEGA at the end of last year, showcasing some of the areas around Yokosuka that inspired locations in the game. At TGS 2018, SEGA will be giving away a special "Shenmue I & II" version of this map at / near their booth at the show! 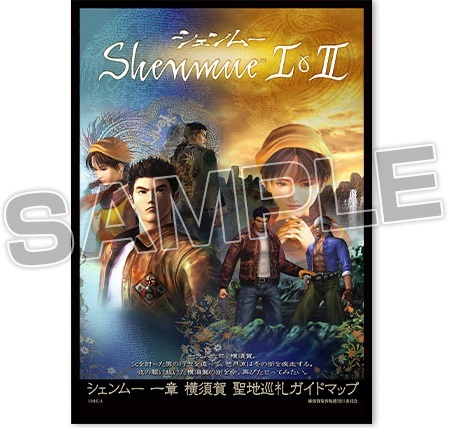 It is likely that the inner pages will be identical to the content of the usual Shenmue Sacred Spot Guide Map, which can be downloaded in digital form from the Yokosuka City website. 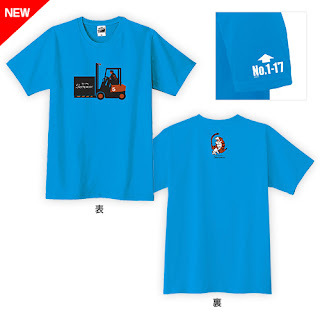 As reported in our recent post, a new T-Shirt will be available for sale in the merchandise area for 3000 yen (sizes: M / L / XL). It features Ryo driving a forklift truck, with the tiger motif from his jacket on the back. 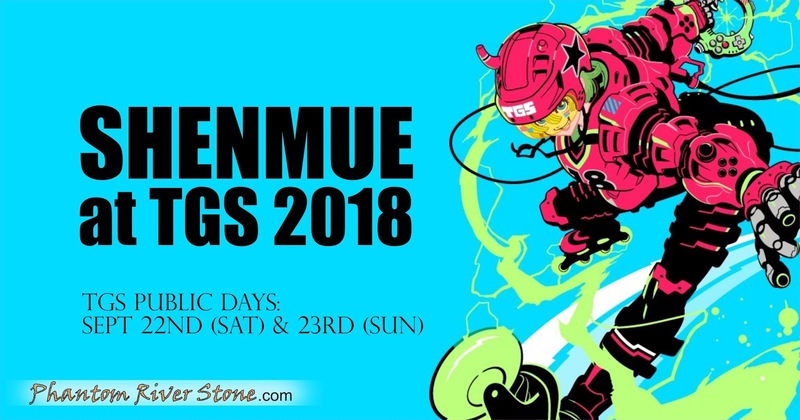 Pin badge capsule toy machines will also be stationed in the merchandise section at 300 yen a try - you may be lucky and score the Ryo Hazuki badge from the Dreamcast capsule toy machine (one of 16 possible designs). According to the SEGA site, members of the public will be able to try hands-on play of Shenmue I & II - presumably this will be the Japanese version (whose official release will be November 21st, for the PS4). A promo trailer will also be playing. 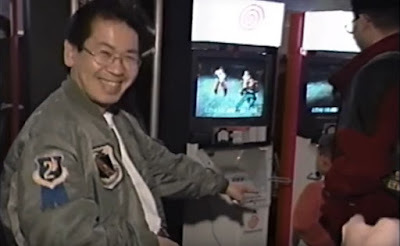 Yu Suzuki in 1998 was delighted to watch a child playing Shenmue - we hope this scenario happens again! 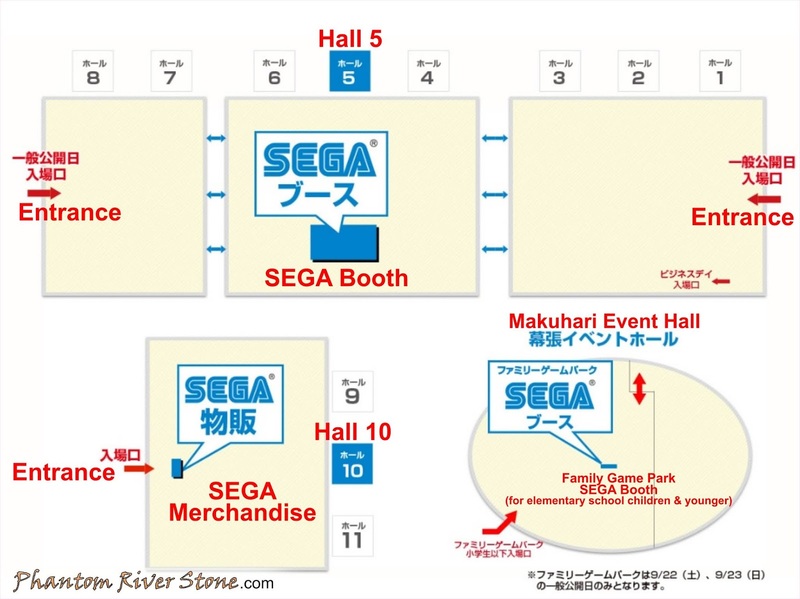 The following map shows the locations of the SEGA "booth" and merchandise areas at the venue (translations added). It is great to see SEGA once again promoting Shenmue in Japan at Tokyo Game Show. For those people lucky enough to be attending directly, we advise arriving as early as possible as the lines are usually long! 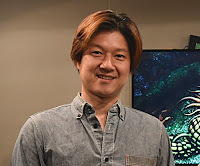 And keep your eyes peeled in case you spot Masaya Matsukaze - or even Yu Suzuki himself, who is known to like to wander around at TGS. 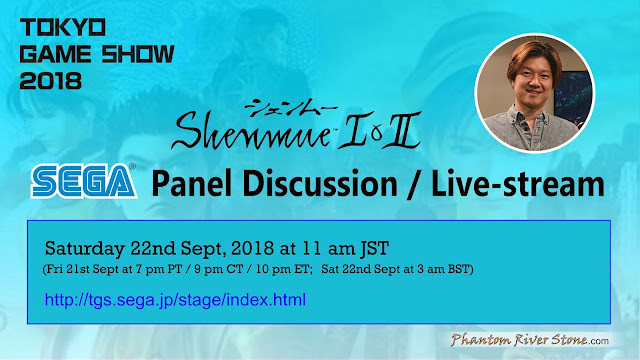 The Shenmue I & II panel event discussion will be in Japanese, so we will be looking at adding translated captions in English to the video after the event.